This article covers some of the world’s best business themes for WordPress. This theme is very flexible and a very responsively designed template. It is clean and allows a very impressive amount of features, powerful customization options and abilities. For example there is a feature slider, and a layer slider. You are able to choose from unlimited colors and unlimited post options. There are a great number of slider bars and 500+ Google fonts. You can choose from 11 widgets, and hundreds of shortcuts that allow various buttons. It also allows you to host a bunch of portfolios and numerous blog layouts. It is SEO optimized and also comes with the ability to be translated into other languages. It also comes with free support. This theme was so named because it allows people to change the color of the template in the same way that the chameleon would change the color of its skin. The combination of colors has been advertised as being endless. Whether this is true is unknown, however you may find there is the scope for great amount of variety when using the chameleon theme. You may create a very professional and uncomplicated website using this theme. This theme has been coded to be used with HTML 5 and jQuery, and CSS3. It has a very responsive layout and looks very good on mobile devices. The websites can also be scaled up so that they look good on a PC or laptop screen. The theme is very customizable and well documented–with some very powerful features. It is a minimalist theme, which has the ability to make very clean looking websites. This theme has 20 skins that are flexible so that you can adapt them to your business type. There are over 500 options within this theme, but the admin panel has been created so that these options come across in a very user friendly way. The developers have ensured that you are able to customize your blog and upload very good portfolio within the website. It also gives you a variety of post options, and a great many options that go with each post type. This theme is very good for taking a very hands-on approach to your blog, (in its appearance and how it comes across). This theme may have been better named as multiple-style. This is because the theme is very large due to it being host to a fantastic number of business types. The theme itself is not restricted to any singular business. This means that you can apply a fresh new look to your website via this theme, and still have it fit your business/market/industry. The color and graphics in each selection is first class, and many people find that this theme is quite a good selling tool. 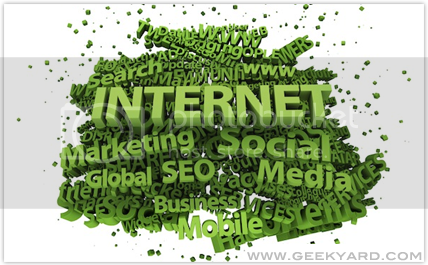 As you would expect, it is also a SEO optimized for search engine results pages. This is a theme that is very good for helping you to install features that are not commonly seen on WordPress themes. For example there is an option that allows you to drag and drop module options on to your website. It gives you a great many options with which you can optimize and improve your website so that it stands apart from other WordPress websites. This is a WordPress theme that will allow you to build just about any type of practical business site you wish. You are able to post a whole catalog of items on the site. You can have a portfolio posted on the site. You can post photo albums on the site. It is a very responsive and user-friendly theme, which you can use to build some very good websites. You may have heard of this website theme. It is very popular due to its simple interface and its ability to help you create backgrounds and elements within your web page. It is very good at taking you step by step through the process of installing a background, installing links or menus etc. It also has the ability to make changing your website just as easy as creating it. The user interface is very powerful and very simple. It is simple due to the fact that it takes you through each option in a clear and well-explained manner. Every option has some form of description behind it. The developers have also gone out of their way to make sure this theme is as SEO optimized as far as possible. I’ve heard very good things about Nimble, I also am yet to try Thesis which is supposed to be really good and easily customisable.